For remedies, advocates and politicians have tended to look toward cuts in fossil-fuel use or technologies to capture carbon before it enters the atmosphere, both of which are crucial. But this focus has overshadowed the most powerful and cost-efficient carbon capture technology in the world. Recent research confirms that forests are absolutely essential in mitigating climate change, thanks to their ability to absorb and sequester carbon. In fact, natural climate solutions such as conservation and restoration of forests, along with improvements in land management, can help us achieve 37% of our climate target of limiting warming to a maximum of two degrees Celsius above preindustrial levels, even though they currently receive only 2.5% of public climate financing. Forests’ power to store carbon dioxide is staggering: one tree can store an average of about 48 pounds in one year. 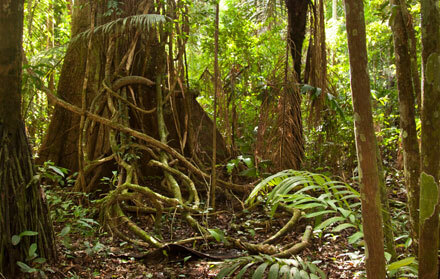 Intact forests could take in the CO2 emissions of some entire countries. For this reason, policy makers and business leaders must create and enforce policies to prevent deforestation; foster reforestation of degraded land; and promote the sustainable management of standing forests in the fight against climate change. Protecting the world’s forests ensures they can keep performing essential functions such as producing oxygen, filtering water and supporting biodiversity. For example, increasing tree cover can help tackle the problem of food security in many areas: trees can enhance farm productivity and give farmers another source of revenue through the sale of fruits, nuts or timber—all the while storing carbon dioxide—in a practice known as agroforestry. It is estimated that increased investment in this area could help sequester up to 9.28 gigatons of carbon dioxide while saving a net US$709.8 billion by 2050. In productive landscapes where it would be difficult to increase tree cover dramatically, agroforestry serves as an attractive compromise. In less developed, rural areas—especially in the tropics, community-based forest management programs can forge pathways out of poverty. In the Petén region of Guatemala, for instance, community-managed forests boasted a near-zero deforestation rate from 2000 through 2013, as compared with 12% in nearby protected areas and buffer zones. These communities have built low-impact, sustainable forest-based businesses that have bolstered the economy of the region enough to fund the creation of local schools and health services. Their success is especially poignant in a location where, outside these community-managed zones, deforestation rates have increased 20-fold. Landscape restoration promises an unparalleled return on investment, in terms of ecosystem services and carbon sequestered and stored. It could potentially sequester up to 1.7 gigatons of carbon dioxide every year, according to the International Union for Conservation of Nature. Reforestation projects can also intersect neatly and positively with human systems—restored forests supply a renewed resource base and new economic opportunities for communities. The Bonn Challenge, issued by world leaders with the goal of bringing 150 million hectares of degraded lands into restoration by 2020, has been adopted by 57 governments and other organizations. Many groups have pledged to halve global deforestation by 2020 through the New York Declaration on Forests. And in an exemplary display of public-private-sector cooperation, the Cocoa and Forests Initiative in Côte d’Ivoire, Ghana and Colombia aims to end deforestation from cocoa cultivation. More trees mean better lives on a more sustainable planet.